Johnson & Johnson introduced talcum baby powder, made mostly of pure talc, to the market more than a century ago, marketing it as safe for use by mothers and their babies. It also marketed the powder as safe for feminine hygiene use. However, in 1971, a study showed that there was a possible link between applying talcum powder to the perineal area and ovarian cancer. Since then, many studies have bolstered the original findings. Even so, Johnson & Johnson tried to put forward studies to refute these findings for a 10-year period, during which its internal documents acknowledged the health concerns. At Moll Law Group, our talcum powder attorneys are seeking to hold Johnson & Johson and other defendants accountable for the injuries that their products have caused. 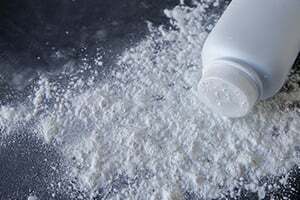 New developments have occurred in talcum powder lawsuits consolidated before Judge Freda Wolfson in the United States District Court for the District of New Jersey. Our principal, Ken Moll, appeared before the court on November 10 to participate in the first Organizational Conference in connection with the cases. Internal documents from Johnson & Johnson and Imerys Talc America show that even though they knew of the medical risks to women, they actively concealed those risks and tried to stop regulatory agencies from regulating the use of talc. Rather than remove the product from the market, the manufacturing companies joined together to form the Talc Interested Party Task Force in order to defend their products and influence regulatory agencies. They did not take steps to remove talc, even after evidence showed a causal link between applying the product to the perineal area and ovarian cancer. It is believed that talc powder moves from the external area through the reproductive tract and into the ovaries, thereby causing cancer. In spite of evidence that showed this causal connection, the manufacturers failed to provide the appropriate warnings to consumers. A failure to warn is one type of actionable defect. So far in the consolidated lawsuits, there has been no discovery conducted, no settlement discussions, and no motions made. The parties have discussed the case and determined an agenda for the case going forward. If our talcum powder lawyers are successful in showing that Johnson & Johnson and Imerys Talc America are liable, compensation that may be recoverable includes the plaintiffs' medical bills, lost wages, and pain and suffering. If a victim has died due to ovarian cancer caused by talcum powder, compensation may also be available for the victim’s family. This may include loss of companionship and love, funeral expenses, and burial expenses. In the event that discovery shows that the manufacturer knew of the risk and actively concealed it from consumers, as we suspect, we may also be able to recover punitive damages. These are designed to punish a defendant and deter future similar conduct. If you were injured or a loved one was killed by ovarian cancer resulting from talcum powder, Moll Law Group is ready to represent you in a lawsuit against the manufacturer. Our talcum powder lawyers represent injured people in states nationwide, such as Michigan, Illinois, Ohio, Pennsylvania, Texas, New York, Florida, and California. Billions of dollars have been recovered in lawsuits in which we have been involved. Call us at 312-462-1700 or use our online form to set up a free appointment with a product liability attorney.